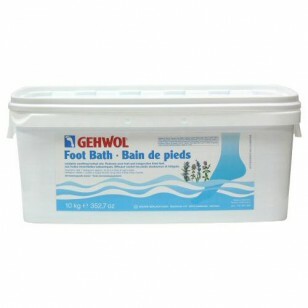 GEHWOL Foot Bath counteracts sore, aching and sweaty feet. Natural essential oils from lavender, rosemary and thyme invigorate tired feet and eliminate irritating soreness. Hard skin, calluses and corns are softened while the skin is deeply cleansed and kept supple. Tip: To continue the revitalizing treatmet, follow with GEHWOL Caring FootDeo or GEHWOL Balm. Directions: Add 1 tbsp (approx. 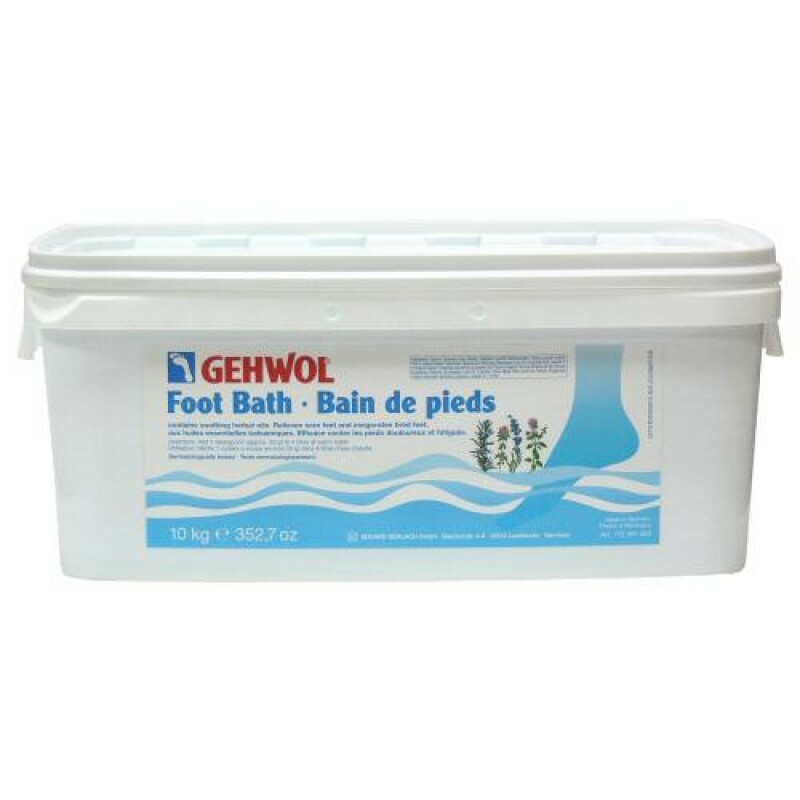 20g) of GEHWOL Foot Bath to 4L of warm water and bathe feet for 10-15 minutes. In the case of severe hard skin and corns, double the amount of the Foot Bath used.